Over the past decade, EAT decisions appeared to have established that a myriad of sleep-in workers were liable to be paid minimum wages for every hour of their shift spent in the organisation, including the hours when they are asleep. In a recent case this year, the court of Appeal rejected the rule, stating that the workers will be paid only for the hours they were awake and carrying out their duties. This has definitely come as a relief to many organisations in the social care sector, as the prospects of due arrears and increased future costs have been threatening. From factories, to care centres and call centres, many workers are required to work overnight. 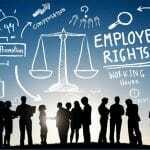 Sometimes, these tasks arise unpredictably so the employer needs someone to be available, just in case. At any time when tasks become infrequent, the employer may sometimes arrange for the workers to sleep on the premises for most of the night. If the employer has arranged for the worker to sleep and provided necessary facilities for the same, then only the number of hours that worker was awake and available for work will be counted. 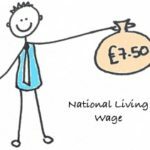 Until recently, care workers who used to sleep-in at the workplace in order to be available have been given an allowance for the entire shift, at an amount less than NMW, along with NMW rate for the hours they were actually working. The new regulations were announced after the recent case of Ms. Tomlinson Blake who was a skilled care worker supporting two men with learning disabilities and who lived in a privately owned property. Most of her shifts were sleep-in shifts from 10pm to 7am and she had her own bedroom provided in the house. During these shifts she needed to be in the house and be available if her support was required, which was found to have happened on only six occasions in a period of 16 months. She was also expected to get a good night’s sleep. The fact that Ms. Blake was needed to be present and ready to exercise her professional judgement even if she was sleeping. The court considered the findings to be multifactorial and took into account only the relevant factors. 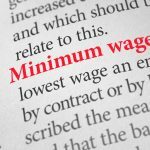 It was accepted that some workers like watchmen and care workers may sleep during a night shift but at the same time be able to perform some expected duties and hence they might be entitled to the national minimum wage rate.